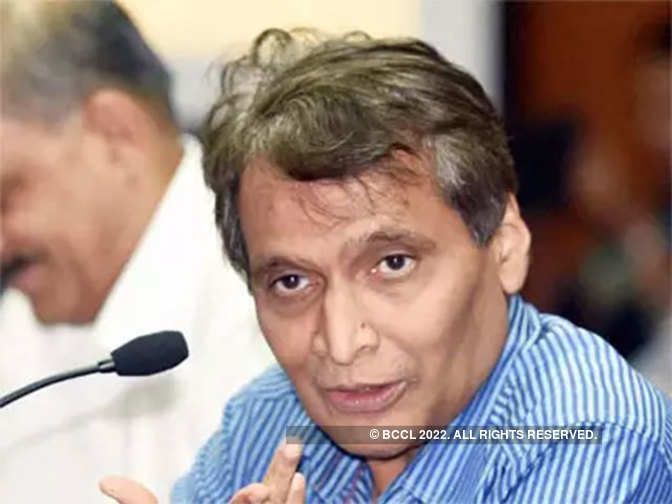 NEW DELHI: Commerce and Industries Minister Suresh Prabhu today said India is expected to become a $ 5 trillion economy in the next 8-9 years with the manufacturing sector contributing 20 per cent to that. “India is going to be $5 trillion economy in 8-9 years. $1 trillion will come from manufacturing. Therefore we are preparing a detailed plan what will be going in that manufacturing,” Mr Prabhu said at an event organised by internet firms body Internet and Mobile Association of India (IAMAI). He said that experts who are involved into manufacturing are preparing the roadmap and including all sectors where manufacturing can be promoted. The minister said if manufacturing alone is digitised it will create huge opportunity for technology firms. “60 per cent of the USD 5 trillion will come from services. This includes various services which are not being even thought of at present. Like home care services have tremendous scope,” he said. The minister said that USD 3 trillion may be under statement as per the plan being worked out and there are empirical evidences to back it. Mr Prabhu said as commerce and industries minister, he is working on a strategy for international trade which will contribute USD 2 trillion to the economy where contribution can come from both manufacturing and services. International trade should become a driving factor for the growth of GDP, he said. “India is not only bridging digital divide but also helping people scale up their income,” Mr Prabhu said. He said that another revenue contribution to the economy will be farming sector where lot of transformation can be done.